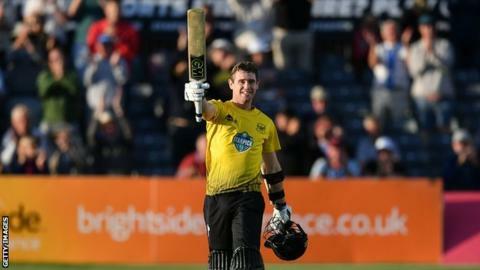 Gloucestershire batsman Ian Cockbain has signed a one-year contract extension until the end of next season. The 32-year-old former captain joined the county in 2010 and has scored 2,382 first-class runs in total. Cockbain made 362 runs in the T20 Blast last year and hopes he can help his side win trophies. "We have a great squad and coaching staff and I hope that I can contribute to some silverware," he told the club's website. "The club has been such a big part of my life and I am grateful to have been awarded a testimonial after nine years with Gloucestershire." The Bootle-born player is the son of former Lancashire and Cheshire opening batsman Ian Cockbain.